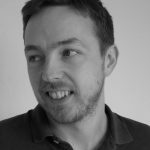 Writer Richard Smyth talks quizzes, crosswords and his passion for 1920s New York. Come along to our Jazz Age inspired quiz, 3pm on Sunday 5th February at Outlaws Yacht Club, Leeds and pit your wits against his thoroughly modern questions. Skyscrapers and speakeasies; flappers and gangsters; bootleg booze, ragtime jazz, and WJZ-New York’s The Pop Question Game. One of these things, you might think, is not like the others. On the one hand, a gallery of iconic images from the 1920s, America’s hedonistic Jazz Age; on the other, a fusty current-affairs radio quiz show hosted by one Briton Hadden. But in fact, this was the era in which quizzes and puzzles – just as much as jazz or Modernist literature – came of age. The Pop Question Game (snappy title, Briton!) was first aired in New York in 1923. And, while it’s not easy to imagine Isadora Duncan or Bix Beiderbecke giving the nightclub a miss to stop at home and chew their pencil-end over a particularly tricky 8 Down, the crossword, too, found its way into the mainstream in 1920s NYC: in 1924, The Cross Word Puzzle Book was published by Simon & Schuster, and by 1925 the craze was such that the Broadway Music Corp released Cross-Words Between Sweetie and Me – a song lamenting the loss of a love to a crossword obsession. The Big Jazz Age Quiz, hosted later this month by Leeds’s always-jazzy Big Bookend festival, is my opportunity to combine my passion for 1920s New York (my new novel Quays is a love-letter to that time and place) with the geeky streak that led me, nearly ten years ago now, into a curious side-career as a question-setter for the quiz show Mastermind. My geekiness doesn’t stop there: I’ve also been setting crosswords professionally for the better part of a decade. You’re invited to don your spats and hats, channel the spirit of Louise Brooks or Rudolf Valentino, and spend a boozy Sunday afternoon indulging in the unexpectedly ’twenties pastime of quizzing. The mood is Jazz Age but the gin is legal and the quiz-questions are thoroughly modern-day (you won’t need to know Babe Ruth’s batting average or what the ‘F’ stood for in F Scott Fitzgerald). There’ll be prizes and entertainments and unlike the actual Jazz Age it won’t all end with a devastating Crash (unless you count your cocktail hangover). What, you might wonder, is a novelist doing messing around with quizzes and crosswords (or, to put it another way, why is a quiz-setter wasting time writing novels?)? It is possible that I have this overlap in the Venn diagram all to myself – but the two things have more in common than you might think. Quizzes allow me to indulge my love of research and penchant for eclectic facts; cryptic crosswords are an outlet for my more creative side (devious plotting and precise wordplay have their uses beyond novels and short stories). 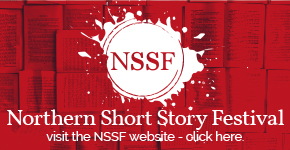 And they’re all – crosswords, novels, quizzes, stories – ways of engaging with people, of mucking around with words and language and truth and fiction to make exciting things happen in people’s heads. 1920s legends like Dorothy Parker and John Dos Passos made me want to be a writer. But there’s a place in the history of Jazz Age – hell, in the history of culture, literature and thought – for guys like Briton Hadden and his Pop Question Game, too. See you at the quiz. 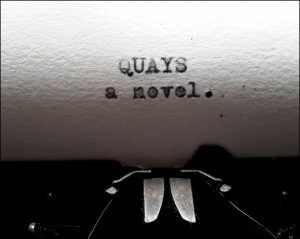 You can read more about Richard’s novel Quays, and find out how you can contribute to his crowdfunder, at https://unbound.com/books/quays. 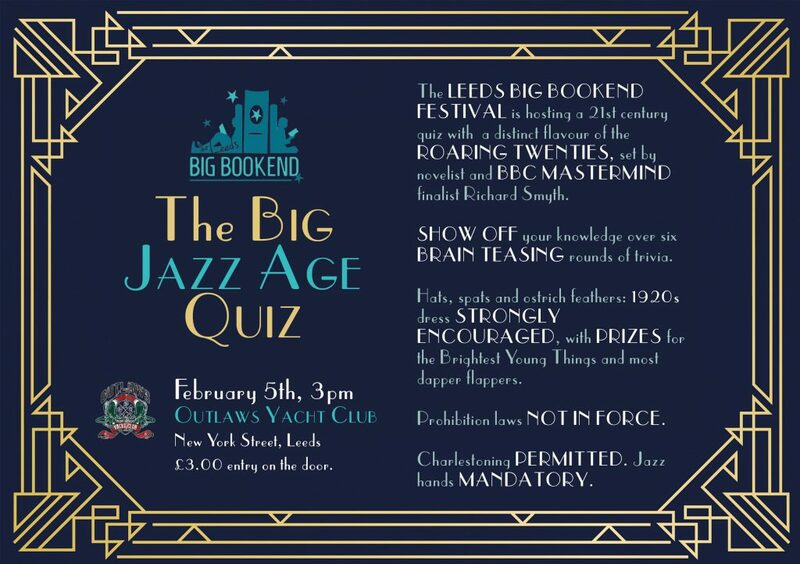 The Big Jazz Age Quiz, fundraiser for the Leeds Big Bookend Festival, takes place at 3pm on Sunday 5th February at Outlaws Yacht Club, Leeds. Entry is £3.00 on the door. You can read more here.